2. 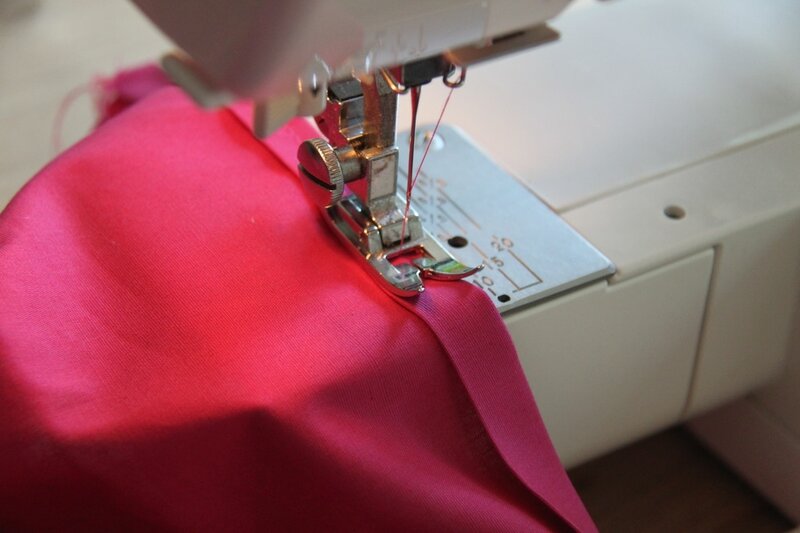 Sewing machine, iron and scissors. 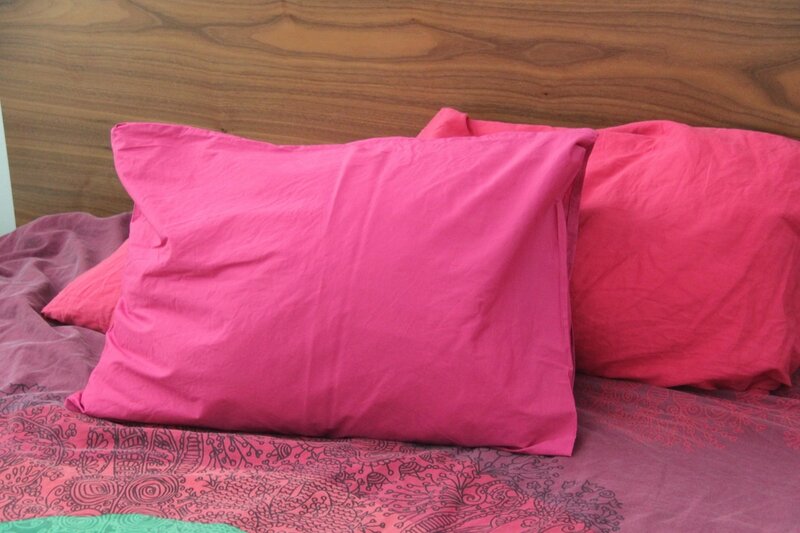 ​Start with cutting your fabric on a fold to be slightly bigger than your pillow, as shown below. 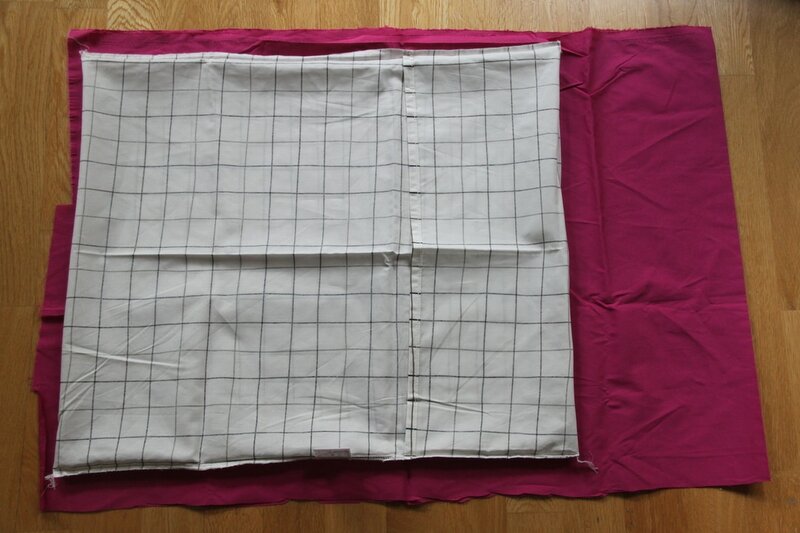 I used an old pillowcase, as it's easier to measure. 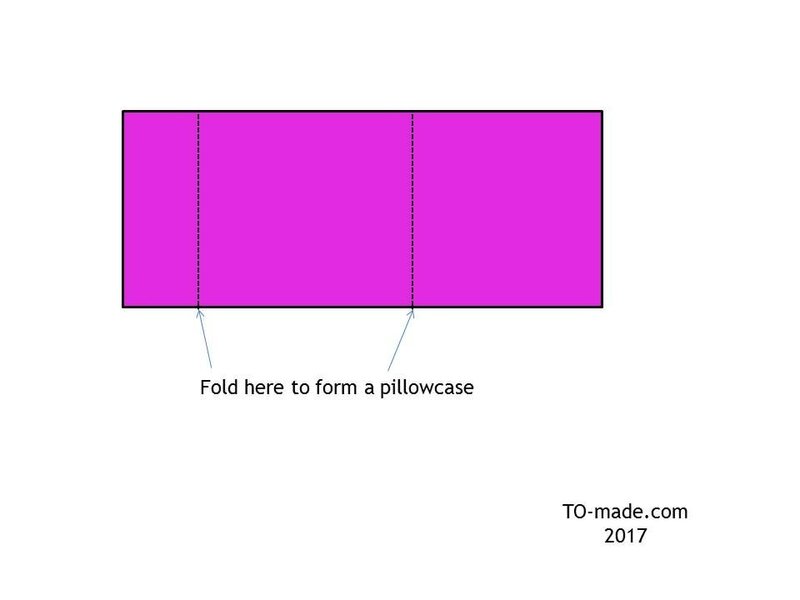 Lay your material right side down. Fold up and stitch the edges on the short side of your rectangle. 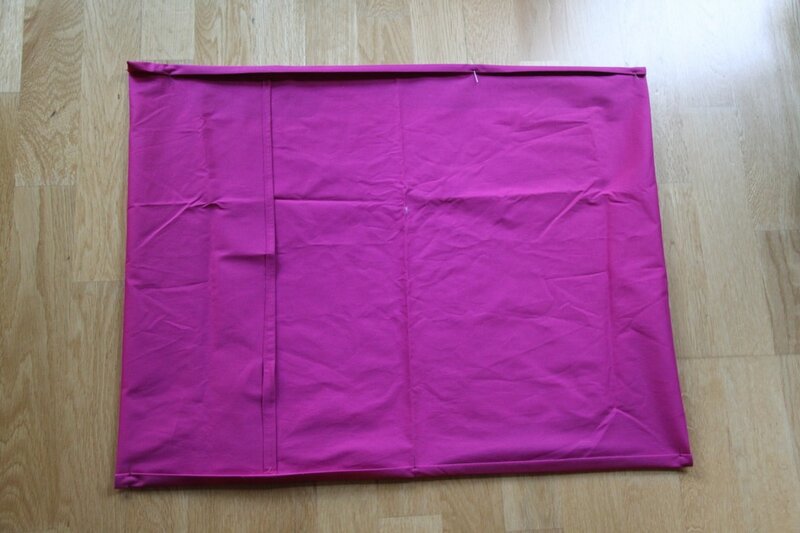 With this folding you will get your sides straight. It's easier if you use an iron. 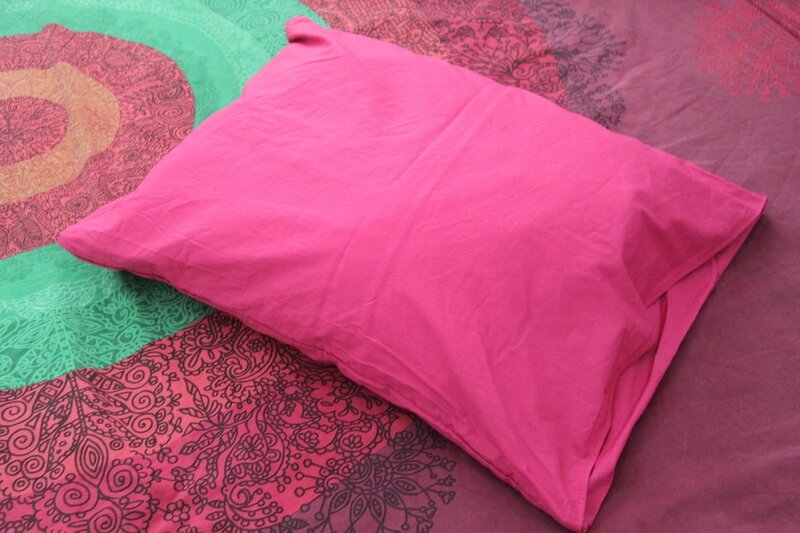 Once you have nice clean edges, lay your fabric right side up this time and fold as shown below to form a pillowcase. Make sure your pillow fits. 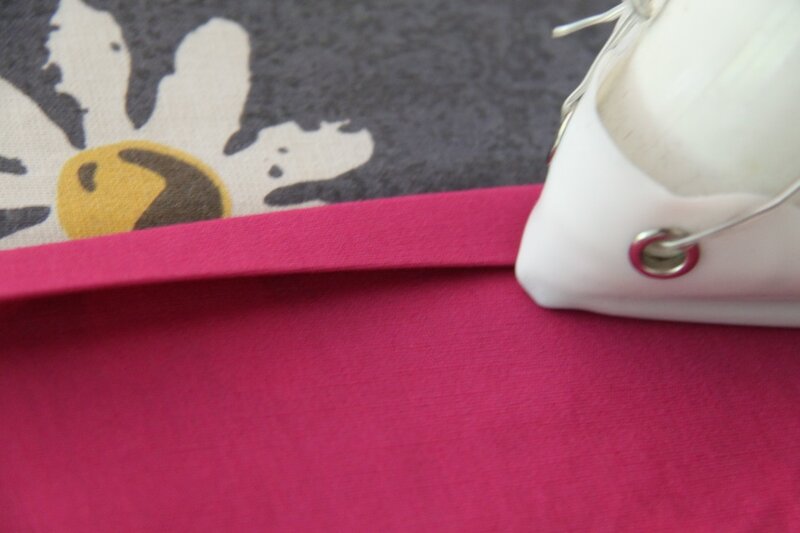 Fold and pin the material along the long side of your rectangle. Again, ironing helps.